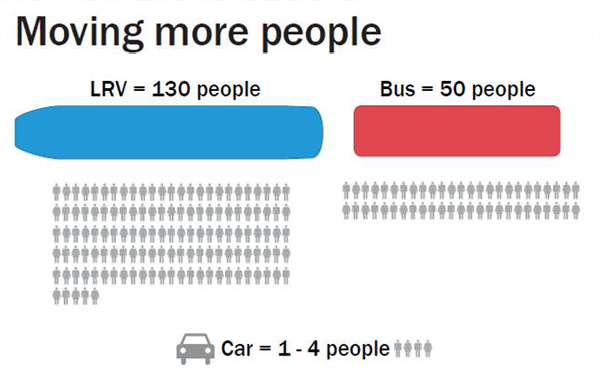 The Crosstown is a $5.3 billion project funded by the Province of Ontario. It includes a 19 kilometre east-west Light Rail Transit (LRT) from Kennedy to Mt. Dennis, including a tunnelled central section, as well as new transit connections to the Yonge, University-Spadina Subway, Scarborough RT, GO Stouffville line and a future connection to the GO Kitchener line. The Crosstown will have up to 26 stations. Preliminary Station Concept: The above rendering shows the preliminary representation of the entrances and station. 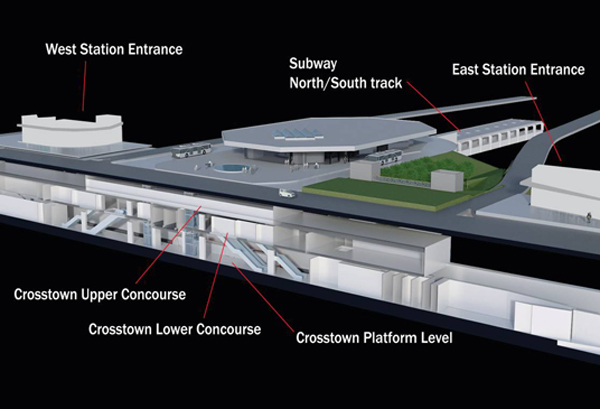 The Crosstown is three levels below the existing subway entrance, and three levels below the future west and east entrances. Passengers will travel below ground to the concourse level where they will pay their fare and then down two more levels to board the train. Profile view: The above rendering displays a cross-section of the upper and lower concourse of the Eglinton West Station Crosstown plaform and cross-over tracks. 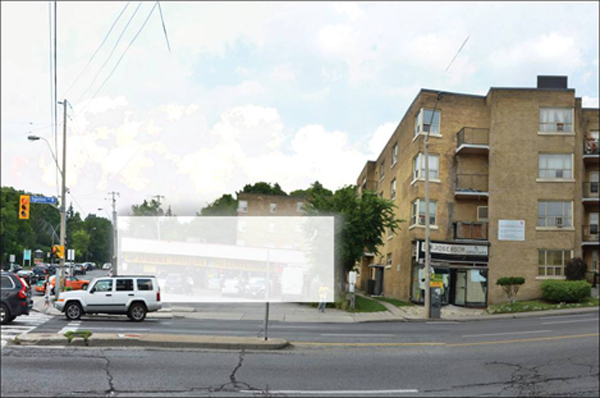 Local Context - Land Use: The above rendering is an aerial view of the Bathurst Street and Eglinton Avenue intersection. 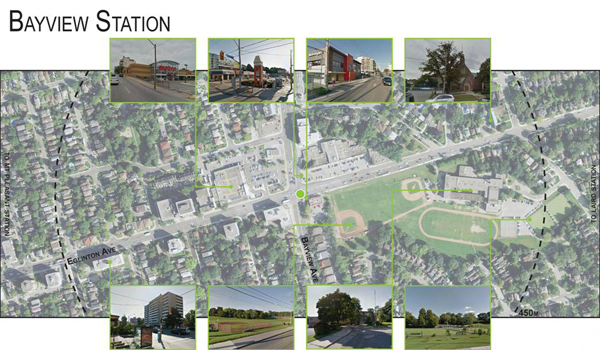 Preliminary Station Concept: The above rendering shows where the station infrastructure and entrances will be located for Bathurst Station. 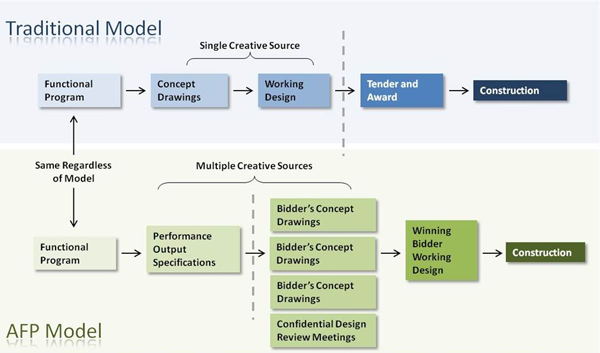 Profile view: The rendering above is a preliminary representation of the entrances and station, subject to change throughout the next phases of the design process. Passengers will travel below ground to the concourse level where they will pay their fare and then down one more level to board the train. 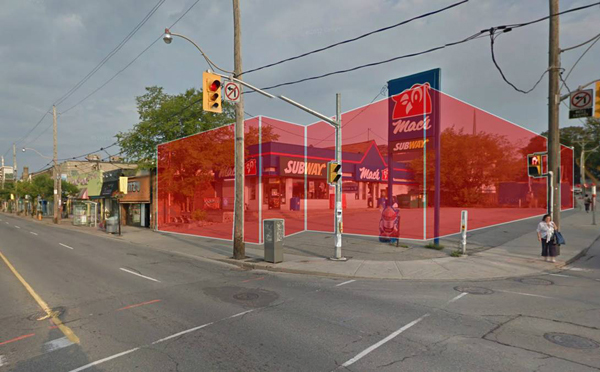 Main entrance view: The main station entrance for Bathurst Station will be located on the north east corner, replacing the donut shop that is currently located there. Property acquisition is something The Crosstown takes very seriously. Our aim has been to reduce the overall footprint of the stations to minimize the number of properties required. 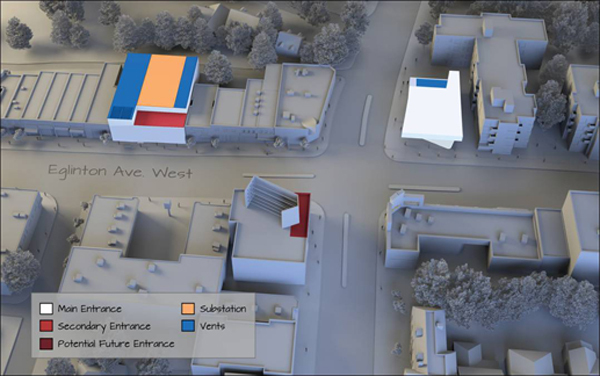 Secondary entrance view: The secondary station entrance and substation will be located on the north side of Eglinton Avenue.This consolidated layout reduces the overall footprint of construction and minimizes construction impacts. 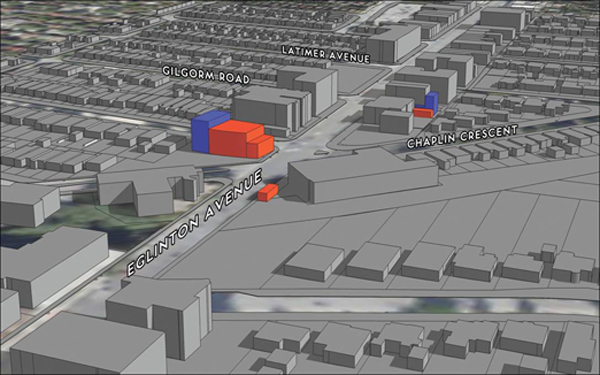 Local Context - Land Use: The above rendering is an aerial view of the Chaplin Crescent and Eglinton Avenue intersection. Preliminary Station Concept: The preliminary design concept shows where the station infrastructure and entrances may be located for Chaplin Station. The taller structure on the left is the main station entrance location on the north east corner of the intersection. 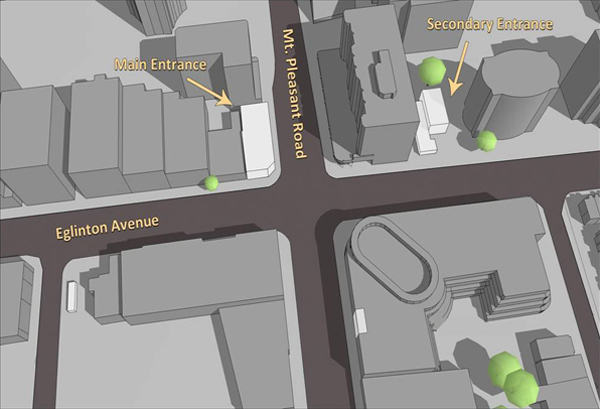 Main and secondary entrance views: The main entrance for Chaplin Station will be located on north east corner of Chaplin Crescent and Eglinton Avenue. 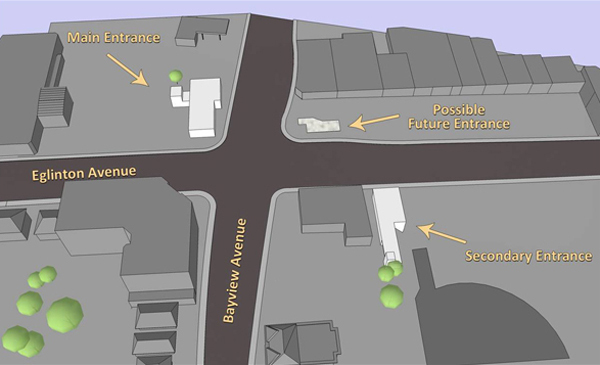 Two secondary entrances will also be constructed. 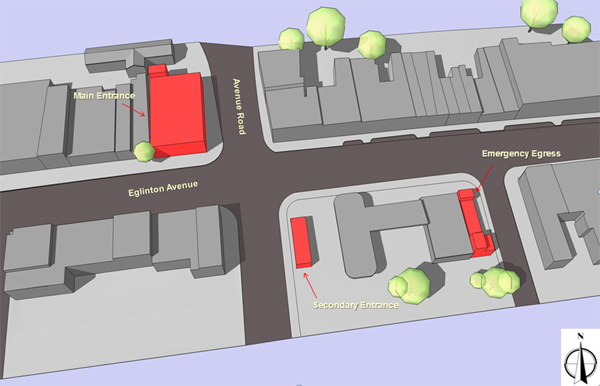 One secondary entrance will be located on the south east corner of Chaplin Crescent and Eglinton Avenue beside and within the Toronto Fire Station No. 135. This station plans to re-locate in 2013-14. There is an opportunity for landscaping, seating and bike parking at this entrance. 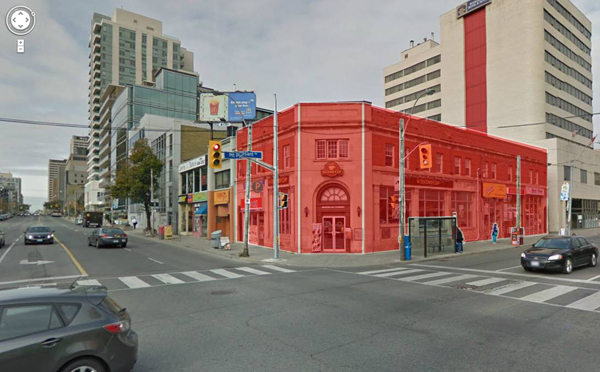 Entry to this location is planned from both the front and east side of the Toronto Fire Station. 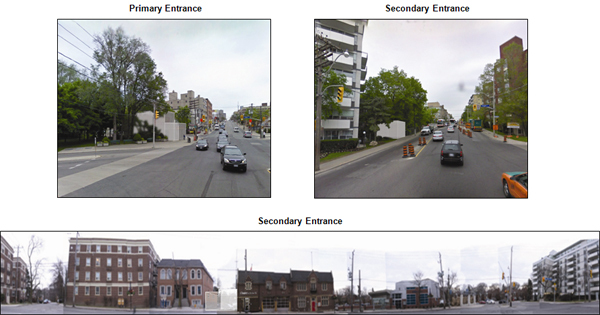 An additional secondary entrance is planned on the south west corner of Chaplin Crescent and Eglinton Avenue. A new staircase with a wheel ramp for cyclists will provide easy access to and from the Beltline Trail and the embankment could be enhanced with native plantings. 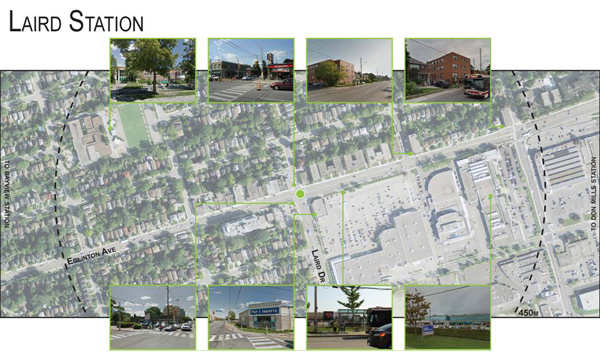 Local Context - Land Use: The above rendering is an aerial view of the Avenue Road and Eglinton Avenue intersection, demonstrating the neighbourhoods and businesses this station will serve. Preliminary Station Concept: The above rendering shows where the station infrastructure and entrances will be located for Avenue Station. Longitudinal Section: The above rendering is a preliminary representation of the entrances and station, subject to change throughout the next phases of the design process. Passengers will travel below ground to the concourse level where they will pay their fare and then proceed down to the station platform to board their train. 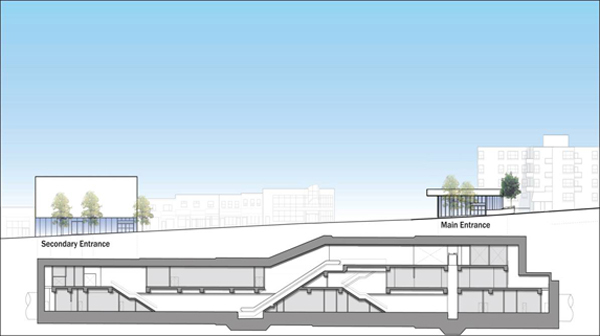 Profile view: The above rendering shows a cross-section profile view of the Avenue station concourse and platform. 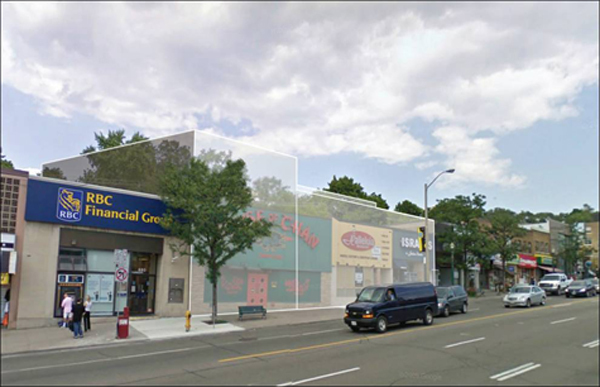 Main entrance view: The main station entrance will be located on the north west corner of Avenue Road and Eglinton Avenue West. Preliminary Station Concept: The above rendering shows where the station infrastructure and entrances will be located for Yonge Station. 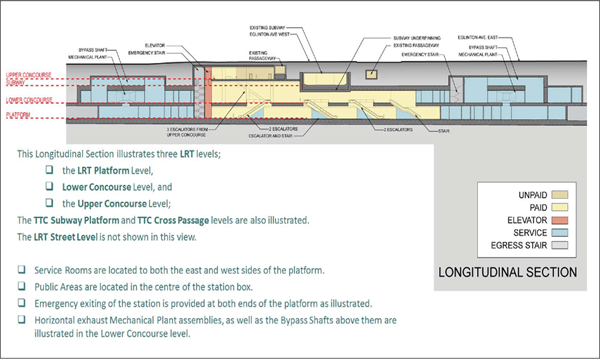 Longitudinal Section: The above rendering is a preliminary representation of the LRT entrances and station and TTC station and cross-passages, subject to change throughout the next phases of the design process. For the LRT entrance, passengers will travel below ground to the upper concourse level where they will pay their fare and then proceed down to the lower concourse level and finally the station platform to board their train. 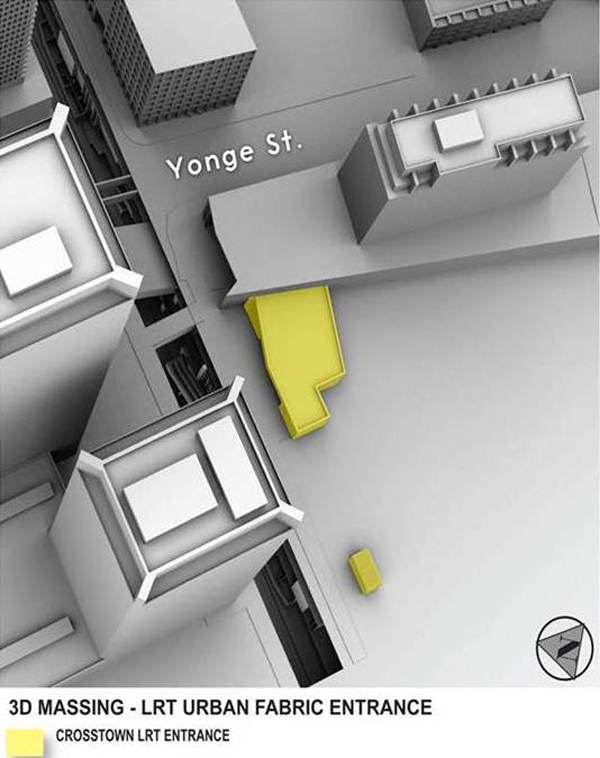 Profile view: The above rendering shows a cross-section profile view of the Yonge station concourse and platform. 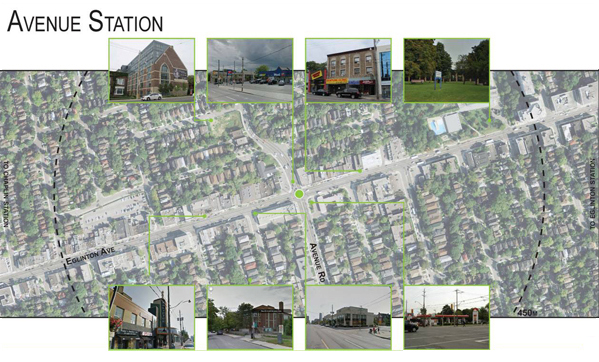 Local Context - Land Use: The above rendering is an aerial view of the Mount Pleasant Road and Eglinton Avenue intersection, demonstrating the neighbourhoods and businesses this station will serve. 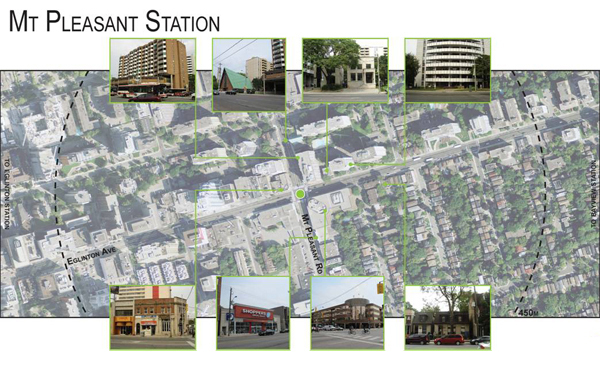 Preliminary Station Concept: The above rendering shows where the station infrastructure and entrances will be located for Mount Pleasant Station. 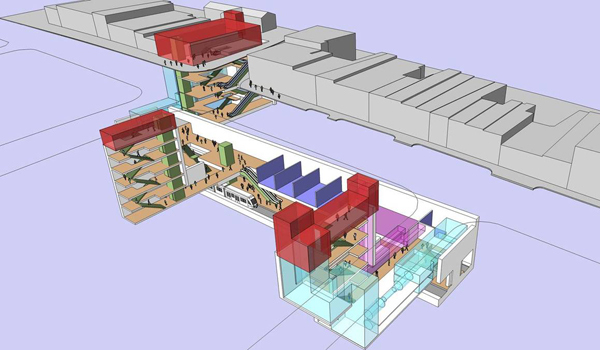 Profile view: The above rendering shows a cross-section profile view of the Mount Pleasant station concourse and platform. 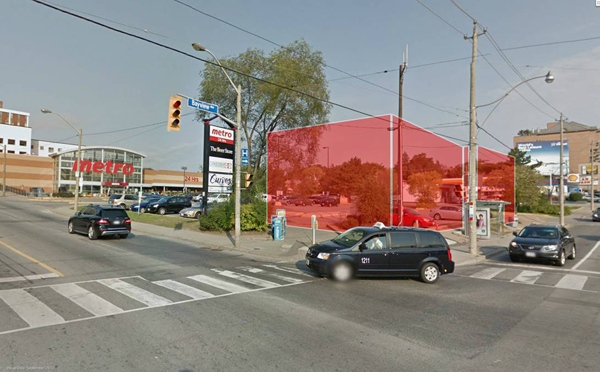 Main entrance view: The main station entrance will be located on the north west corner of Mount Pleasant Road and Eglinton Avenue West. 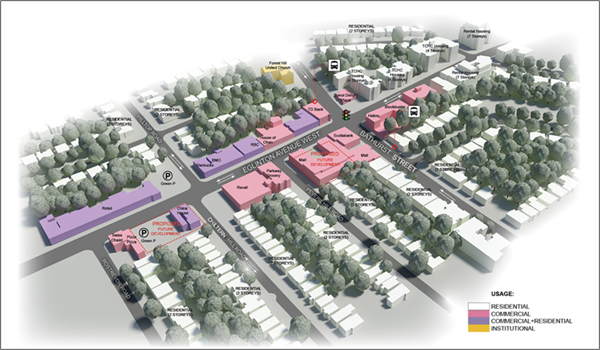 Local Context - Land Use: The above rendering is an aerial view of the Bayview Avenue and Eglinton Avenue intersection, demonstrating the neighbourhoods and businesses this station will serve. Preliminary Station Concept: The above rendering shows where the station infrastructure and entrances will be located for Bayview Station. 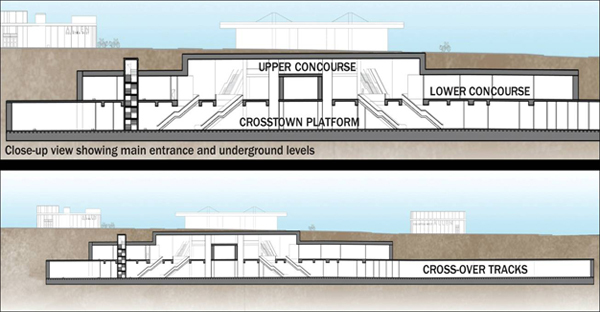 Profile view: The above rendering shows a cross-section profile view of the Bayview station concourse and platform. 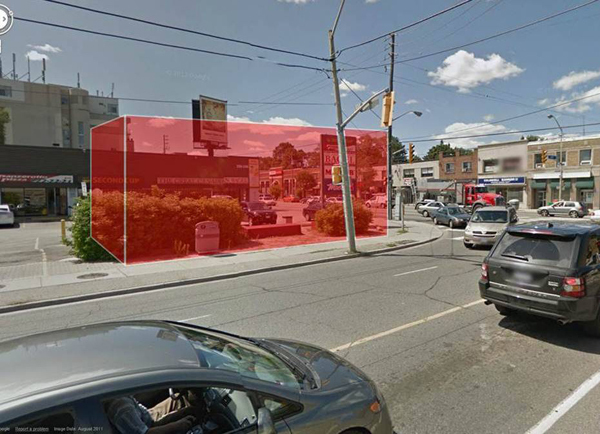 Main entrance view: The main station entrance will be located on the north west corner of Bayview Avenue and Eglinton Avenue West. 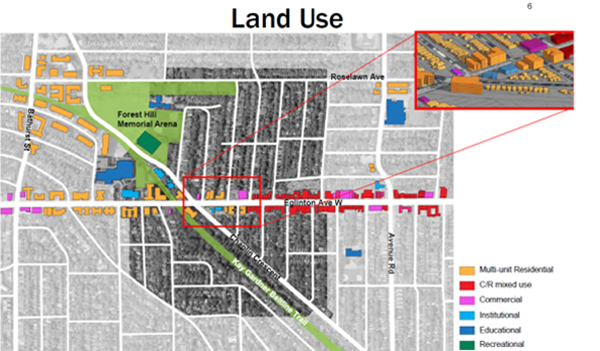 Local Context - Land Use: The above rendering is an aerial view of the Laird Drive and Eglinton Avenue intersection, demonstrating the neighbourhoods and businesses this station will serve. Preliminary Station Concept: The above rendering shows where the main and secondary entrances will be located for Laird Station. 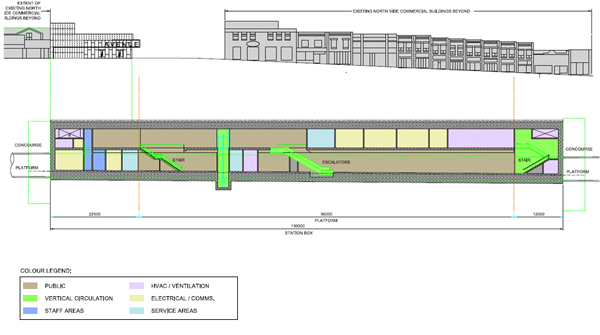 Profile view: The above rendering shows a cross-section profile view of the Laird station concourse and platform. Main entrance view: The main station entrance will be located on the south west corner of Laird Drive and Eglinton Avenue West.